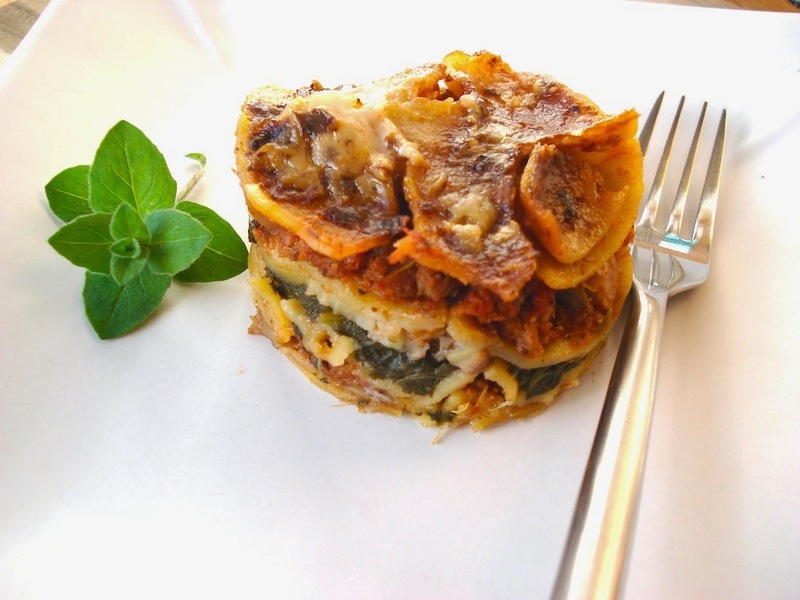 Using dark greens in a lasagne is a great way to make sure of getting plenty of them. I use any dark leaves that are available at each season: kale, watercress, lamb's quarters, spinach, nettles. My all favorite way to get enough dark greens is blending them in green smoothies or juicing them when they are fiberish. My second favorite way is to use them in lasagnes. I'll bring a few words on nettles, since they grow abundantly for most part of the year and are great source of protein and essential minerals. 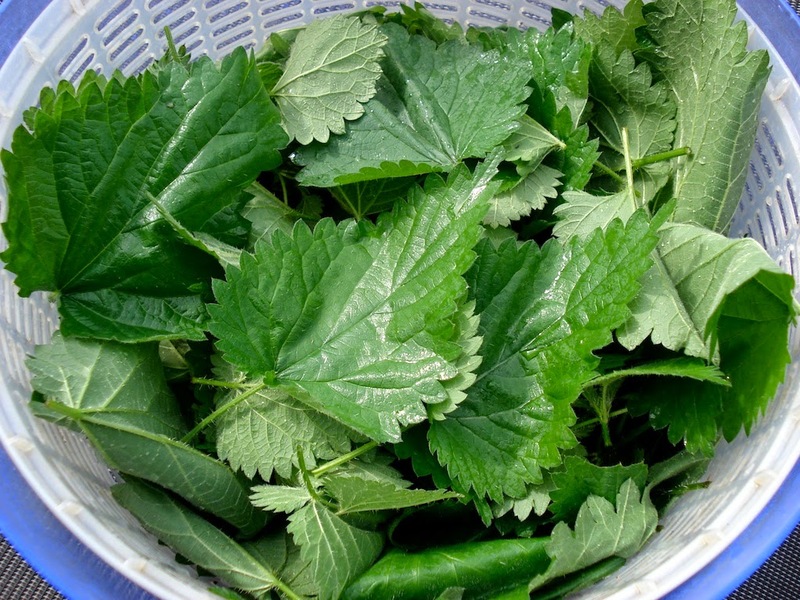 Nettles are in fact much more nutritious than most store bought vegetables - and for free. 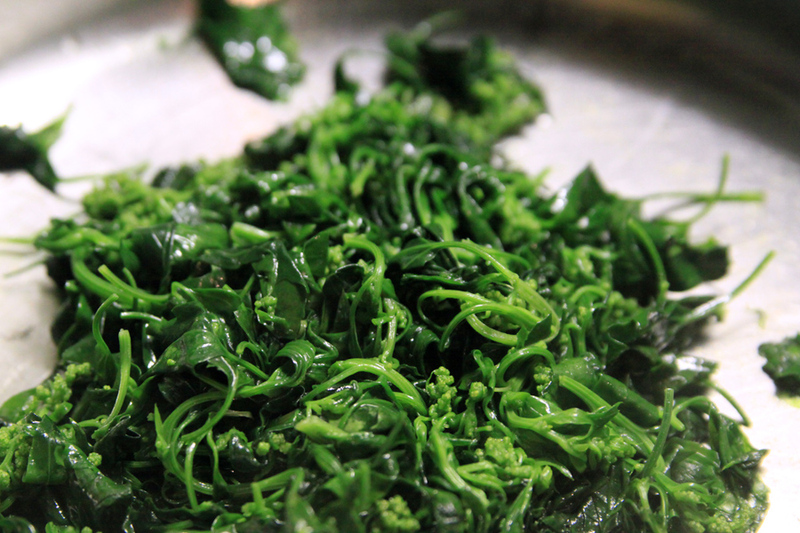 You can use nettles in pretty much the same way as you use spinach in recipes. Pick the tops of the plants, since they are more tender. If you can not handle the stinging, use gloves to harvest them. Avoid picking nettles in places that are polluted with heavy metals or unwanted chemicals (such as in industrial areas). Rinse them thoroughly and voilà, ready for use. The white sauce I use in this recipe is gluten-free and very light. My secret for a good "cheesey" sauce is to use a good brand of nutritional yeast flakes. My favourite brand (that I can find in this part of Europe) is Vitam. Some brands may be bitter and are therefore not suitable. Bring the tomato pulp (my favorite brand is BioTime or Bio from Delhaize), paprika, nutmeg, celery leaves a bay leaf (take it away after it's cooked) to the boil. Lower the heat and let it simmer for 5 minutes. Add the seitan and pepper and cook 2 minutes. Remove the pan from the heat and add the remaining spices. Bring to taste with Tabasco (or chili) and salt. Instead of chopped seitan you can use chopped vegetables (food processor) - or the fruit pulp from your juicer slow. Preheat oven to about 210 ° C (it depends on the furnace, because in my current furnace should I bake at 190 ° C). Heat 1 cup coconut milk + 1/2 cup rice milk (or the milk of your choice) over a low heat along with 1 bay leaf 1/4 teaspoon of (freshly grated) nutmeg and sea salt to taste (I use 1/2 tbsp). Simmer for 2 minutes. Combine 1 1/2 teaspoon arrowroot/tapioca or kuzu and 2 tbsp water. Pour the arrowroot slurry into the cooking milk, whisking until thickened and smooth. Adjust consistency as required by either adding more arrowroot (always diluted in a little liquid) or by adding more liquid. Remove from heat and add 2 tsp lemon juice and 2 tbsp nutritional yeast. For extra tanginess add 1 tsp prepared mosterd (optional). Rinse well the nettles or spinach and place them in a large cooking pan. Pour boiling water over it, let it soak 5 minutes and then strain it well, pressing it to remove all the water in the leaves. Place the greens on a cutting board and cut into chunks. Return to the pan, mix it with a little (herbal infused) olive oil and tamari (or common salt). If you use kale or lamb's quarters, cook the shredded leaves in olive oil for 3 minutes (or longer if needed) and add salt and pepper. Grease an ovenproof dish and cover the bottom with a thin layer of white sauce. 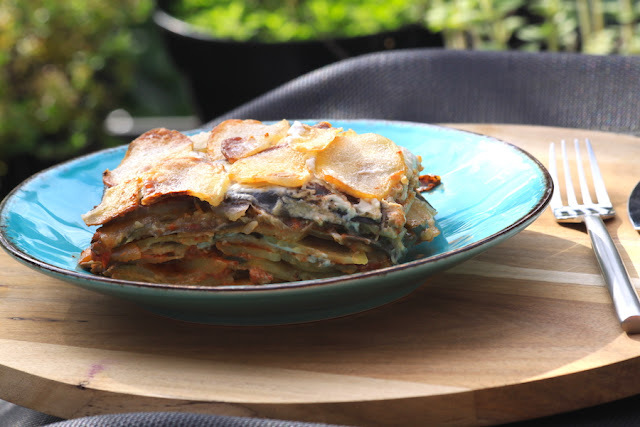 Add a layer of lasagne sheets (immerse each sheet under water for 2 seconds before adding them). Then a layer of tomato sauce, another layer of lasagne sheets, a layer of greens and repeat as long as you have ingredients and room in the over dish. The top layer should be the white sauce, thick enough to cover the lasagna. Bake in pre-heated oven at 200°C for like 30-40 minutes or as specified in the lasagne package. Total cooking time and oven temperature depend on which type of lasagne you use and on the oven you are cooking at. If your oven is too powerful, perhaps after 20 minutes of cooking you might want to take a look and reduce it a bit to avoid burning. 1) I use neutral coconut milk, usually found in Asian shops. Some coconut milk brands will leave a strong coconut-ish taste which is not appreciated by everyone. 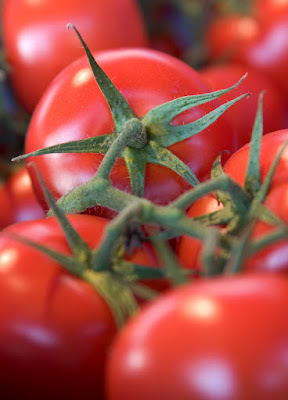 2) Next to using dark greens and tomato sauce, use any chewy vegetable available at a given season. My favorites are stir-fried mushrooms, grilled courgette and/or aubergines/eggplants, roasted hokaido pumpkin or butternut with sambal, fresh rosemary and sage leaves, olives, sun-dried tomatoes. 3) Adding one layer of ripe banana slices can offer a very surprising sweet and creamy contrast with the other ingredients. But that's probably more for the die-hards who are open to exotic taste combinations. 4) Instead of seitan I often use finely grated vegetables (such as carrot, celery or beets) or the pulp that comes from juicing vegetables (or even apples!) on a slow juicer. Nothing goes to waste here.